We want to empower everyone to innovate and help you change the way you do business. 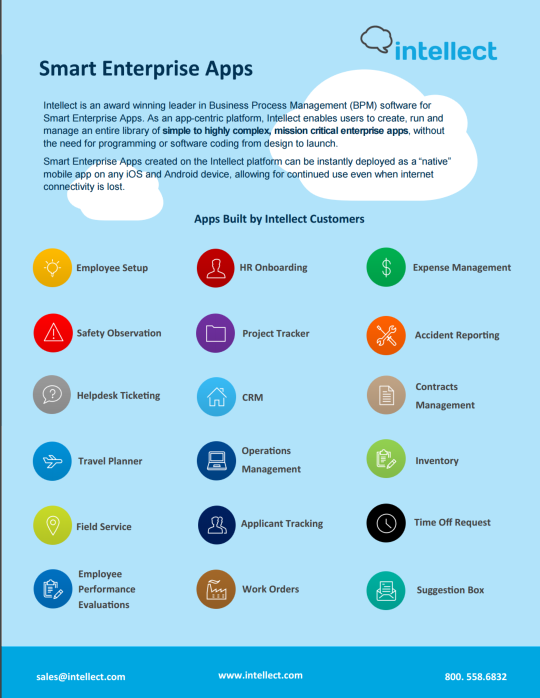 Download the Intellect Smart Enterprise Apps brochure and learn how Intellect can help you build custom mobile apps without programming. Instantly deploy native mobile apps All smart mobile apps built on the Intellect platform can be instantly deployed on any iOS and Android device.